Gestation is accompanied by alterations in the microbiome—bacteria that live inside and on our body and weigh over four pounds of our body weight and are important in health and in fighting disease. Previous research that focused on changes in the microbiome showed that during pregnancy it is partially responsible for weight gain and for essential inflammatory response. However, the mechanisms driving these changes are unknown. A new study, conducted by Dr. Omry Koren, of the Azrieli Faculty of Medicine together with Prof. Yoram Louzon, of the Department of Mathematics at Bar-Ilan University, and researchers from Beilinson Hospital, has found that progesterone regulates the microbial composition of bacteria during pregnancy in a way that may help the baby develop. The study was published today (April 16, 2019) in Cell Reports. 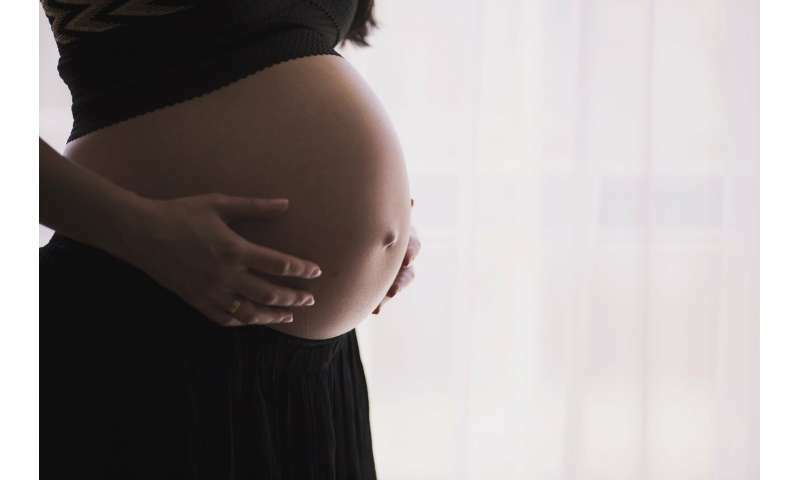 The researchers studied changes in bacteria as pregnancy progressed and discovered a dramatic change in the composition of bacteria during late pregnancy, including an increase in the relative abundance of Bifidobacterium. These bacteria are crucial for infants because they metabolize healthy sugars in breast milk that are important for babies' growth. They also contain probiotic capabilities. Previous research has shown that a lack of increase in Bifidobacterium during pregnancy correlates with preterm delivery. Our results delineate a model in which progesterone promotes growth of Bifidobacterium during late pregnancy. The findings provide new insights into understanding the relationship not only between hormones and intestinal bacteria during pregnancy, but also for other conditions in which hormones are involved, such as progesterone supplementation as a component of fertility treatments or therapy in menopausal women," said Dr. Koren. Koren and team are now attempting to identify how these bacteria react, what genes are turned on, what other pregnancy hormones do and what effect they have.